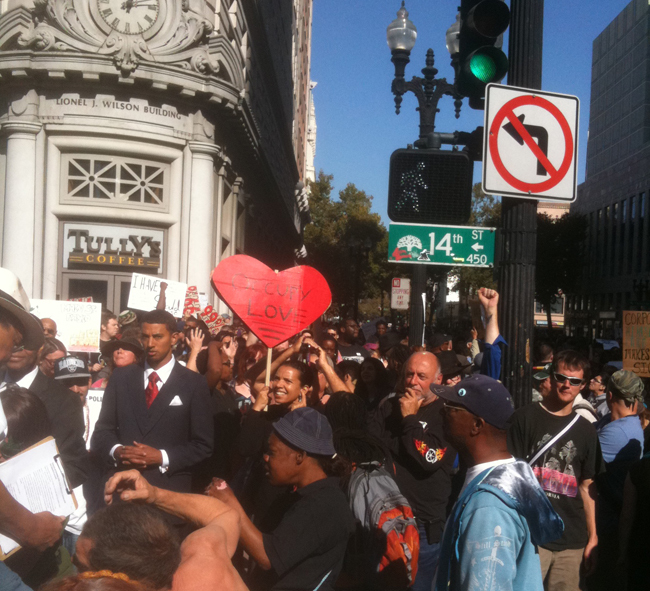 The BLUnet is compiling most- if not all of the response and actions of Black Activists to the OccupyWallStreet Movement. Below is our position and action-plan on OccupyWallStreet as well as videos that will be uploaded showing the world that this anti=capitalist movement is not just a bunch of young whitefolks out to protest because the rest of the world is doing it. So please send your written reports and videos on your local Black involvements in the OccupyWallStreet Movement. 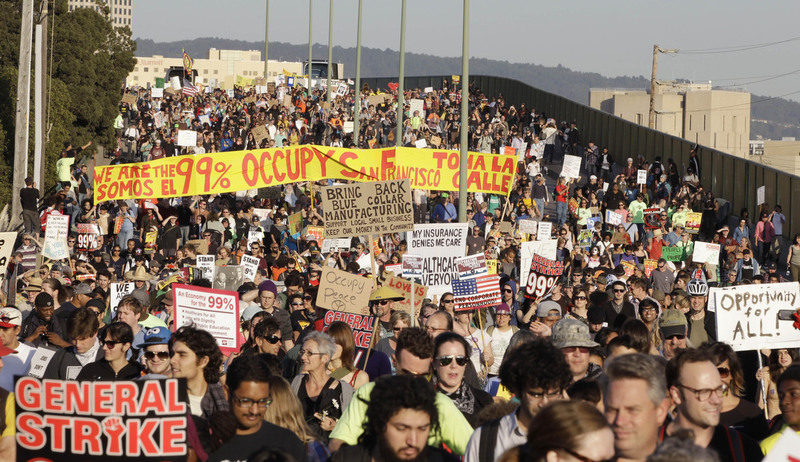 The Black Left Unity Network (BLUN) re-asserts its view that the Occupy Wall Street movement is an important development in helping to shape the anti-capitalist sentiment in this period of capitalist crisis. It points out how widespread the crisis is, while not always showing its depth. However, since the emergence of the OWS many have argued about its general lack of inclusion, about its importance but limitations in reaching the Black masses, and about the non-working-class and anarchist character of its general assemblies, among other concerns. 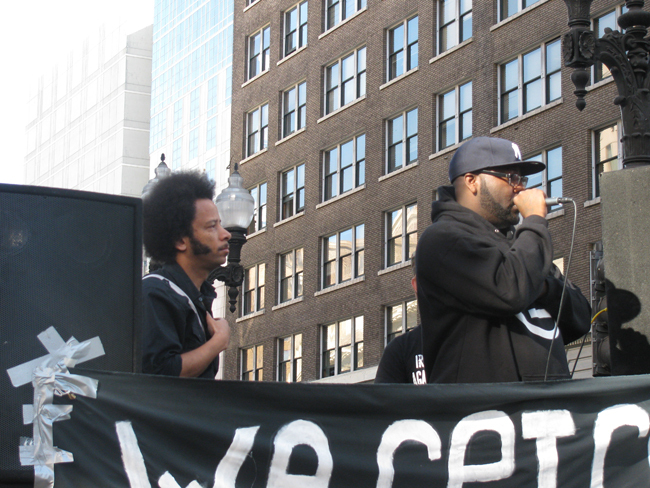 Out of the concerns raised by Black and people of color labor and social movement activists about the OWS, including from the Black Left Unity Network (BLUN) National Dialogue calls that involved more than 100 Black activists from 14 states and 17 cities, new forms and tactics of the Occupy movement to reach the Black masses have developed, such as Occupy the Hood. This has led to the transforming of the OWS from being mainly an encampment and social network movement into one that includes more organized forces and that targets strategic points of US and global capital. We note, for example, the closing down of the shipping ports on the West Coast, entry points of mass transportation in New York City and corporate stores like Wal-Mart and Target. The BLUN believes that the US government's fear of the changing racial and class character of the OWS, the independent Black and people of color initiatives expressing solidarity with the OWS, and its new strategic targets, are major reasons for the nationally coordinated attacks against the OWS encampments by the police. By attacking the encampments, the state hopes to defeat the Occupy movement, the anti-capitalist sentiment and any new initiatives, especially among Black and oppressed people of color carrying forward anti-capitalist demands. Black activists must have a sober and collective assessment of the tactics and aims of the repression and the role of the federal government. This and other strategic assessments are not usually a major focus of spontaneous movements. The depth of the US and global capitalist crisis will continue to produce popular forms of spontaneous resistance like OWS. For the Black masses it is critically important to have an organized national movement to help direct the strategy, tactics and alliances of Black national resistance as a powerful and revolutionary social force. Without this the spontaneity of the Black masses will again be shaped and influenced by the Obama election campaign. The Obama administration has been used successfully to hold back the militancy of the Black masses as a revolutionary social force. Yet, even the NAACP, a pro-Obama organization petitioning of the United Nations charging the US with political disenfranchisement of Black and Latino voters, points out how the contradictions of bourgeois democracy are sharpening among Black people from this capitalist crisis. Conscious efforts must take place to organize Black activists rooted in the local struggles and social movements throughout the US into a new Black left to provide leadership to the Black masses in this period of capitalist crisis. The BLUN calls on Black activists who see the need to build and work in mechanisms, campaigns and alliances that become a framework for rebuilding the Black liberation movement to join the Black Left Unity Network. While there is much more needed in developing the BLUN as a unity process; a major aspect of the process must be that of forging Black left unity within the context of trying to unify and give a working class and internationalist perspective based in concrete demands to the struggles and upsurges that originate from or may have an impact on the Black masses. 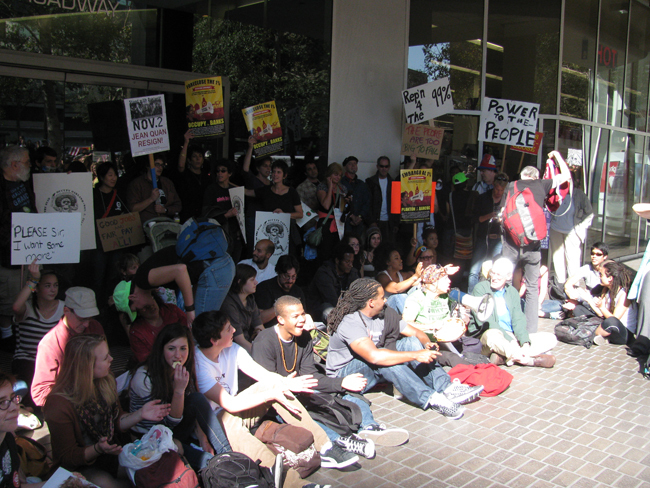 Therefore, with the emergence of the OWS as an national phenomenon with developing organizational expressions in various cities across the country, members of BLUN have taken the position that it is important to develop a process for addressing the questions that have quickly surfaced related to the political character of this movement and the role and participation of Black, Latino and Native forces. 5. How can the Black left become a force in helping to promote U.S. accountability to the UN HumanRights? to amend as we see necessary. respected and to be nurtured. economic justice for all people. tired, outraged, pissed off and willing to move! * This is not an all- inclusive list. 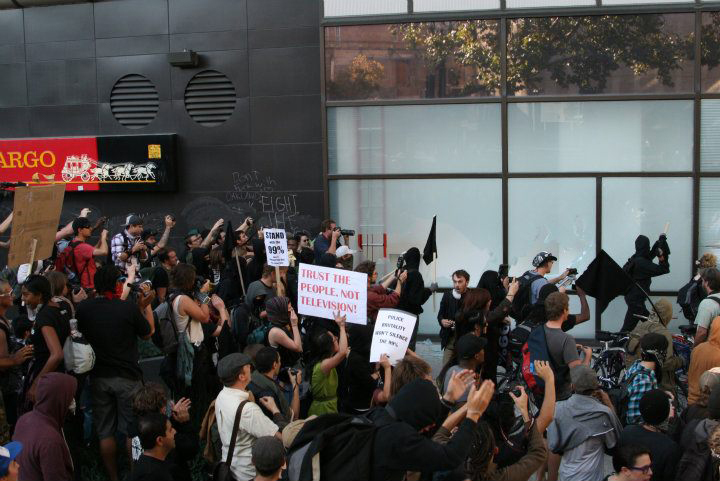 In short F$%K a Bank..
Tully's is right next to occupy oakland and was a supporter of the movement.. 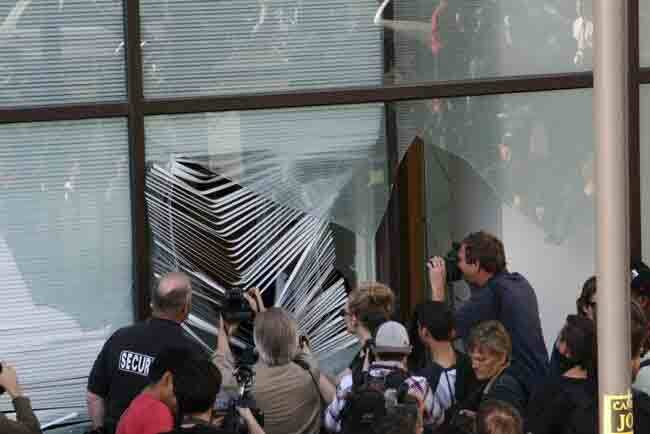 Many protesters were extremely upset when her shop was vandalized. and down Broadway. Oakland police who had had kept their distance from Occupy Oakland for the past few days showed up in full riot gear, shooting tear gas and flash grenades. Much of the violence took place around 2 am, and by 4 am, when over 100 people were arrested, the overwhelming majority of those sent to jail (75% ) were from out-of-town. As Occupy Wall Street continues to galvanize America and numerous Occupy movements keep springing up in cities, towns and communities across the nation, it was only a matter of time before Harlem residents and activists took the bull by the horns and brought the initiative uptown. On the evening of October 28, about 150 people, many of them born and raised in Harlem, attended the first Occupy Harlem general assembly, held at St. Philip's Church in Central Harlem. Nellie Bailey, who is with Harlem Fightback Against War at Home and Abroad as well as a member of the United National Antiwar Coalition, was a co-convener. There were many proposals dealing with economics and jobs, including a request to endorse "Jobs for ALL," a massive public works and public service program to create 25 million new jobs at union wages, to be paid for by new taxes on the wealth and income of the rich, on financial transactions, and on corporate profits. Two political proposals sought endorsement of the Occupy Congress campaign to occupy the local offices of members of Congress unless they sign a pledge to vote down any proposed cuts to working people's programs and for a congressional hearing in Washington, DC to address the second-class status of independent voters, which make up 41 percent of the electorate. There were also important proposals regarding issues affecting Continental Africans, such as the Nuba Mountain peoples in southern Sudan, and people of African descent throughout the Diaspora, including Haiti. "Occupy Harlem can only survive as a people's movement with the direct involvement of the 99 percent to affect change," Nellie Bailey said. "We need a radical transformation of the current status quo - the banks financing and controlling the political process, buying out politicians in both parties to protect the economic interest of the one percent. Poor and working class people in Harlem and throughout the country are suffering," she continued. "We aren't going to take it anymore. Occupy Wall Street is our blueprint." Joining Bailey was Black Agenda Radio commentator Glen Ford. 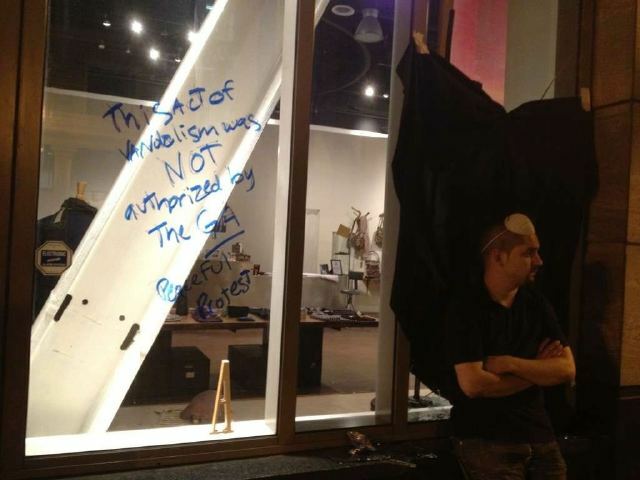 "We can't just wait for the people downtown in Occupy Wall Street to stand up for us. We must organize for our own economic and political defense," he said. Added Larry Adams of the People's Organization for Progress, "We must take action because the recession in America is a full-blown depression for Black America." Focusing attention on one of Harlem's grave concerns was guest speaker Carl Dix, national spokesperson for the Revolutionary Communist Party. He stressed the urgent need to end the NYPD's "stop and frisk" policy that is harassing and humiliating countless innocent people. Dix told of one Black young man who was stopped and frisked on his way to get some chicken. After the police officer found that the young man had no record, instead of just releasing him, the officer told him to do the chicken noodle soup dance and then he would let him go. "I don't want to live in a country where our Black young men are treated like that," declared Dix. "It is a burning injustice, and we want to tap into a supportive mood around resisting it and to link in with people who are trying to deal with it on other levels." The microphone was opened to all, and attendees eagerly came forward to propose a wide range of issues from the local to the international that they thought should be supported or endorsed by Occupy Harlem. For instance, at the local level there were proposals to support the continued opposition to the planned 50-year expansion of Columbia University that threatens to take over Harlem; to endorse the struggle against the privatization of Harlem's public housing; and to fight the closing of the Harlem post office, which will devastate many Harlemites who don't have bank accounts and must rely on postal money orders to pay their bills. There was also a proposal to support Harlem's community gardens that provide food, making the community less dependent on outside sources. Along with the many issues proposed, there was robust discussion regarding procedures and a number of other items. Said Bailey: "As we feel our way in these uncharted waters, we recognize the need of the Harlem community to freely express itself. That is what we tried to do tonight instead of going by a format that others may use in their Occupy movements. As we move forward, we will work these issues out through a democratic and transparent process." At its next general assembly Occupy Harlem will begin considering the proposals voiced at this first meeting and organizing working committees, a crucial step forward to sustain and coalesce the movement. A call to Blacks, Latinos, and immigrants to occupy their communities against predatory investors, displacement, privatization and state repression. Let us assert our Dignity! WE MUST DEFEND OUR COMMUNITIES! THIS IS OUR STRUGGLE, THIS IS OUR MOMENT IN HISTORY. THIS IS PEOPLE'S POWER! We stand in solidarity with all of our brothers and sisters occupying cities, towns and neighborhoods in the United States. We stand in solidarity with poor and working class people across the globe rising up against criminal predatory finance capital that has no regard for humanity, that has no regard for Mother Earth. Wall Street, the epicenter of international finance capital, began its financial prosperity with slave profiteering firms, JP Morgan, Lehman Brothers, Wachovia Bank and Bank of America. In fact, Wall Street and most of the city’s financial district were built on the burial ground of captured Africans forced into genocidal free labor for centuries, a crime against humanity. The legacy of that crime against humanity manifested today in Jim Crow mass incarceration, a crisis of massive Black unemployment and the greatest loss of wealth for people of color from subprime lending frauds estimated between $164 billion and $213 billion. Finance capital plutocrats have always controlled the US political system. They threaten and received a $16 trillion bank bailout, the greatest thief of taxpayers' money in modern US history. And it's only the tip of the iceberg because the banks have an estimated $700 trillion of worthless derivatives, the BULL in the china shop that might very well bring down Wall Street. Let us, the 99 percent, build a united people's movement of the poor, the working class and the middle class to reign in the one percent. ANOTHER WORLD IS POSSIBLE! Join us for this Occupy Harlem mobilization with guest speakers and the occupy site to be announced. NO MORE BANK BAILOUTS! NO MORE WARS! WE WANT MONEY FOR JOBS, HOUSING, EDUCATION AND MEDICAL CARE.